We value investing in and developing our employees, and promote entirely from within for our positions in the field. Crew Members are responsible for controlling traffic safely through work zones using appropriate equipment and communication. They will assist a Crew Leader in setting up and managing work zones. 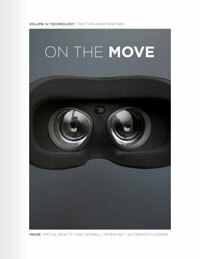 Crew Members will also be paired with a Field Specialist for on-site training and support. This is our entry-level position in the field. Crew Leaders are responsible for setting up basic flagging operations, including all cones and signage in work zones. They actively participate in controlling traffic in work zones. Crew Leaders take the initiative to meet with clients for a pre-job brief and they are responsible for a company vehicle, equipment, and a fuel card. Advanced Crew Leaders are responsible for setting up basic flagging operations and complex work zones, which may include shifting lanes, merging patterns, and complex intersection work. They assist with TMA and stake body jobs as well as other larger projects. Advanced Crew Leaders actively participate in controlling traffic in work zones, meet with clients for pre-job briefs, and are responsible for a company vehicle, equipment, and a fuel card. Field Specialists offer one-on-one guidance to all Field Employees, including identifying Field Employees for additional trainings and promotions, or providing extra support in the field. Field Specialists conduct truck inspections, safety observations, and write daily reports that help bridge the gap between the office and the field. The Quality Specialist is primarily responsible for ensuring safety and quality standards are met in the field by conducting observations of work zones and vehicles. Instructors are certified to the highest state DOT traffic control standards, and most hold other specialty qualifications in traffic safety. 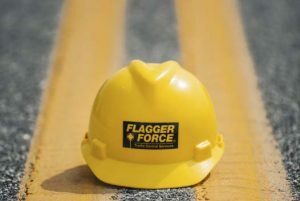 Instructors have received additional education in “train-the-trainer” formats and are continuously improving their materials and presentations to keep the Flagger Force Academy classes engaging and the information as up-to-date as possible. Employee Advocates are an extension of the Human Resources Department in the field. They conduct daily site visits to listen to our Field Employees and address any issues or concerns that may arise. Employee Advocates offer assistance, guidance, and conduct annual reviews of the Field Employees. Safety Professionals are responsible for ongoing improvement of safety policies, procedures and enforcing Flagger Force’s safety standards. 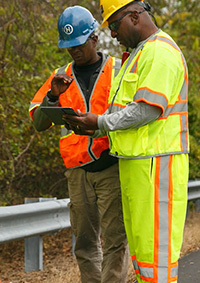 Areas of improvement are identified through Safety ‘Pro’ site visits, incident investigation and Field Employee input. Once opportunities for improvement are identified, the Safety Professional works to proactively prevent incident occurrences across all operations. Joseph Thom came to the aid of a coworker today who was having a bad day. The Harrisburg Operations’ staff appreciates his dedication to being a good leader and for supporting his fellow coworker. KUDOS to the our crew for their work in Atlantic City, NJ! They did an awesome job for the client. The Atlantic City Police Department was very impressed with their work as well. I would like to give KUDOS to my crew for the YMCA’s Turkey Trot today. They each played an important role in our execution of this job.